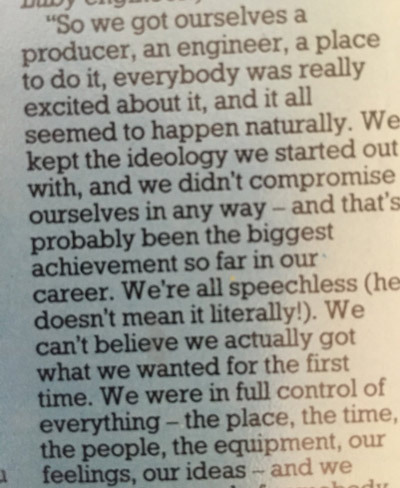 After the success of ‘Absolute Reality’ and the positive reaction towards the new songs performed on the ‘Absolute Tour’, the Alarm felt extremely confident going into the studio to continue the work they had already started with producer Mike Howlett and recording engineer Nigel Luby. June 6th 1985 The Alarm and Mike Howlett moved into Marcus Recording Studios, located just off Westbourne Grove in Bayswater, London at 49-53 Kensington Gardens Square a week later. 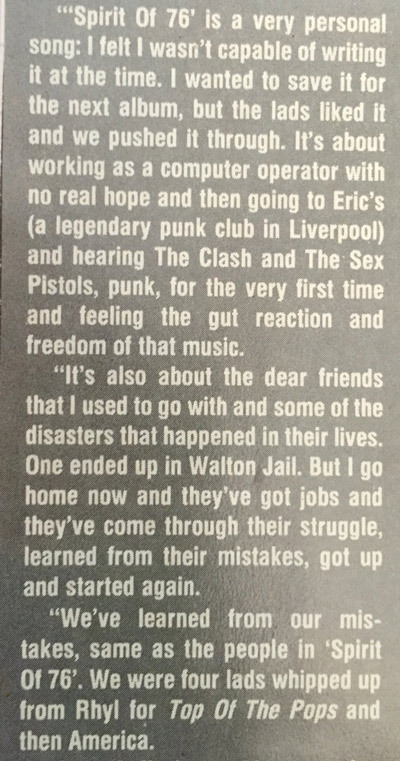 Drawing on the confidence of already having performed a large bulk of the songs live, and receiving very favourable feedback from fans, the sessions were very relaxed and the band powered through most of their intended backing tracks including a musically complex new song entitled ‘Spirit Of ’76’ which featured a very openly autobiographical Mike Peters lyric. 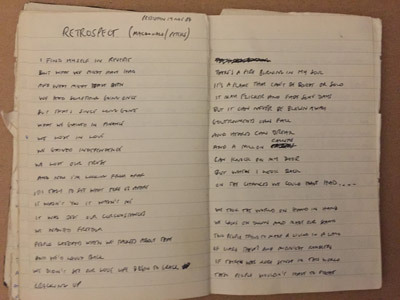 – Original draft lyric for ‘Spirit Of ’76’ [Working Title – Retrospect] from Mike Peters note book 1984-1986. 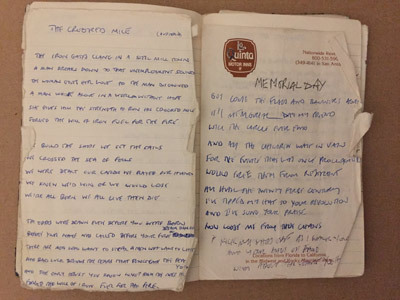 – Original draft lyric for ‘Deeside’ [Working Title – Crooked Mile] from Mike Peters note book 1984-1986. Neil Storey – How important a gig was Croke Park, Dublin, to you? You played to 60,000 people and the vibe was extraordinary. In Tua Nua came on and did well; then REM, who didn’t die but didn’t do justice to their worth on record; and then you. You didn’t just go the whole way to the back but you went up both sides of the stadium. You exploded; the whole place just went mad. What did it fee! Like? How important was it? Mike Peters – It was just incredible although, you can’t just do it without the back-up of great songs. We are capable of writing more songs that can come to life in the big gigs. The show just sent shivers down my spine. For me the day was encapsulated in what I said from the stage, ‘two years previously I had been in Dublin at Phoenix Park pogoing at the front to U2, and here today I’m on U2’s stage playing’. You see, everybody really wants to be in the band, and the better the band are, the better it is for the crowd. It’s the best feeling I have ever had at a gig. It’s hard to say what goes through your mind, but the feeling of peace is incredible. 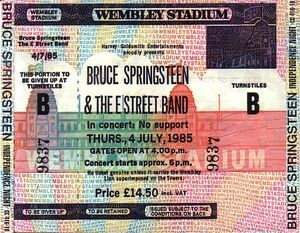 July 5th 1985 Gary Tallent the bass player from Bruce Springsteen’s E Street Band drops by the studios. 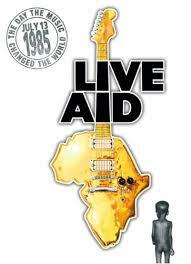 “There was some talk about The Alarm playing at Live Aid, we certainly wanted to be part of it, but I think Bob Geldof or Harvey Goldsmith (The UK Promoter), adopted a policy of only having artists who had achieved number one status in the singles or album charts as the benchmark for qualification. 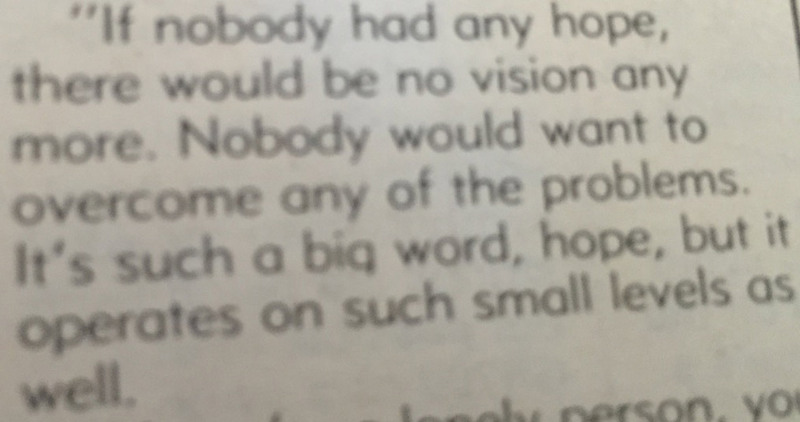 I’m not sure if that was strictly true or ever officially enforced but that was the word that was coming out and in truth it probably helped as a way of politely turning down every single act in the world that suddenly wanted to be a part of it once it became clear how big an event it was going to become. I went along on the day and volunteered to help as a steward helping people find their seats. I went with Redeye and Gareth ‘Gaz Top’ Jones (our old roadie who was by now, a well known Tv presenter on British Television). We had an amazing day and word soon spread that we were in the stands. 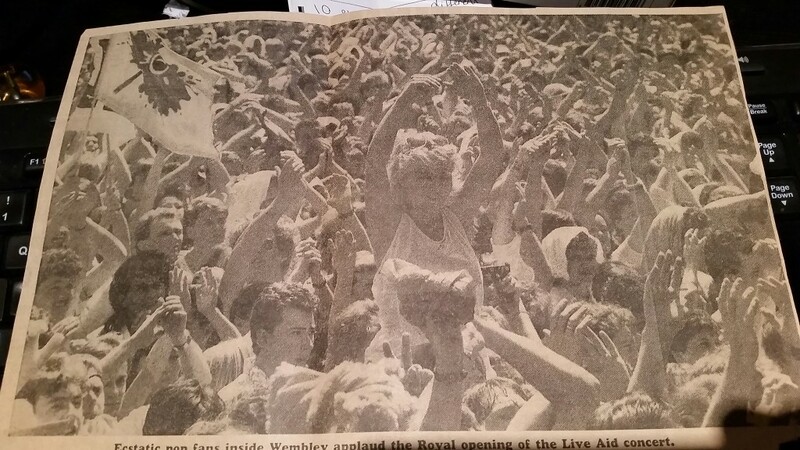 Television pictures even picked us out during Bob Geldof and the Boomtown Rats performance. 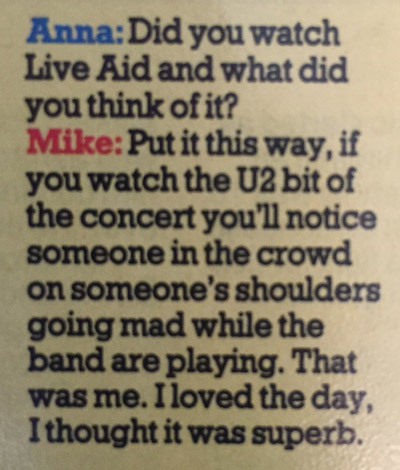 It was in the run up to U2’s appearance at Live Aid that the Edge dropped by to visit The Alarm. In concert, ‘One Step Closer To Home’ was already a classic with the fans. 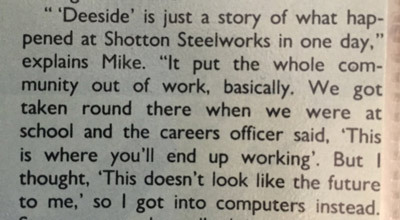 During the sessions at Marcus, the band cut an electric backing track, but during the overdub stage, Dave Sharp failed to get a vocal take he was happy with and so decided to leave ‘One Step’ off the album. An incident involving Jimmy Page (Led Zeppelin) during the ‘Strength’ sessions, may have had a bearing on Dave’s inability to sing his masterpiece. 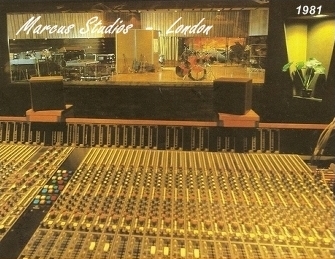 Page, who had booked upstairs into Marcus Studio Two in order to mix a ‘live’ Firm album, came down to visit The Alarm in Studio One. When he went back, he took Dave Sharp with him for a ‘listen’. 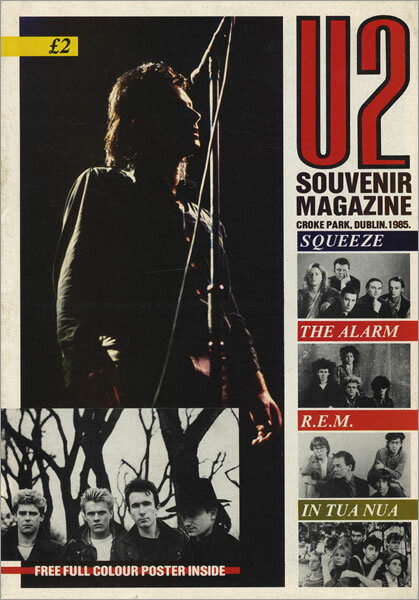 The Alarm were supposed to have finished recording and mixing the album by the end of July at the latest in order to keep up the momentum created by ‘Absolute Reality’ (which had put the Alarm back in the UK charts and fostered the subsequent success of the Absolute Tour). Also, IRS Records now had a brand new worldwide distribution deal in place with the powerful MCA Records and Alarm manager Ian Wilson wanted to release a single from the sessions as soon as possible. ‘Strength’ (the song), had emerged as the main contender for lead single and it was prioritised to be the first track mixed when the band and production team moved in to Battery Studio 4, in Willesden, North London on August 5th 1985. 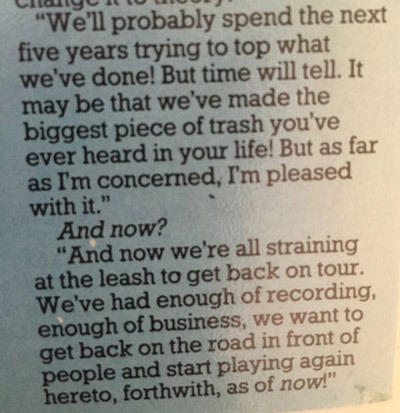 To further speed things up, it was also decided to mix ‘Majority’ as the b-side but, by August the 2nd when the album was supposed to be finished, The Alarm were still laying down new tracks. 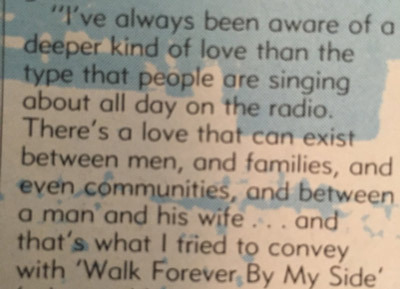 – Rupert Black (Keyboard player on the ‘Strength’ album). Eddie Macdonald had booked his wedding date for August 3rd, which was supposed to coincide with the original scheduled finish date of August 2nd. However, instead of enjoying the build up to his big day with his intended – Sharon, he was busy supervising the recording of ‘Walk Forever By My Side’, which involved a brass band score conceived by music arranger Dave Bitelli and Eddie Macdonald (who like his father before him, had once been a trombone playing member of The Rhyl Silver Band). 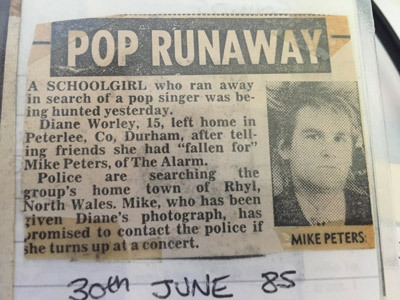 While Eddie was preparing to be betrothed, the rest of The Alarm were in the studio finishing ‘Majority’. (On the master tapes, the 3 mixes of ‘Majority’ are labelled as follows: ‘Wedding Day Mix 1’, ‘The Honeymoon Starts Mix 2’ and ‘The Honeymoon Flight Mix 3’. 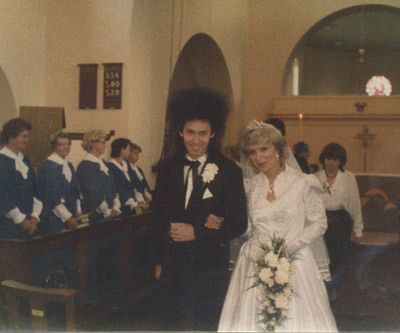 Upon completion the band went straight to the church to join in the celebrations. They only just made it on time. August 5th 1985 Battery Studios, Willesden, London (formerly known as Morgan Studios). While Eddie was away on honeymoon, the band, Mike Howlett and Nigel Luby settled into Battery studios to mix the album proper, starting with the song already earmarked for the next single ‘Strength’. Two weeks later with a running order completed, ‘Strength’, the album was ready for release. 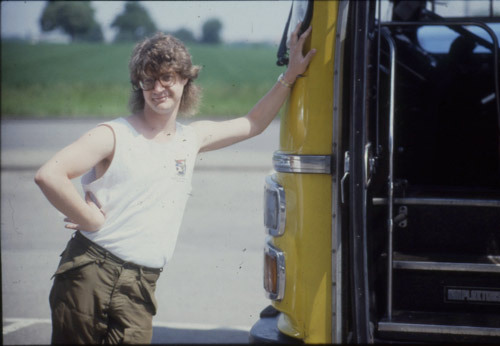 Come back to the alarm.com tomorrow for the continuing story of Strength – An Oral History……. ‘Strength’ the single is finally ‘unleashed’ and with second album finally out in the record stores, the band hit the road in the USA and bring 1985 to a close with an eventful winter tour of the UK – finishing on high at Glasgow Barrowlands on December 24th. 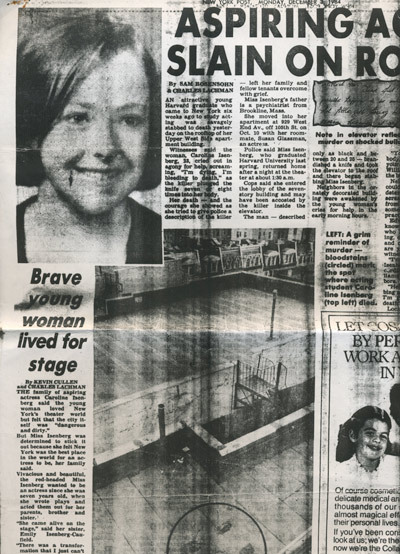 Special thanks to Lee Aherne for newspaper cuttings. Strength 1985 – 1986 is released on Friday March 15th 2019 and is available in CD / LP and Download versions with a host of previously unreleased exclusive tracks across all formats. Strength 1985-1986 is also available to pre-order at various international retail outlets.